The Red Stables is located in St Anne’s Park in Clontarf. The park itself is something to rave about; it’s massive and so lovely and green, but today we won’t be talking about the park, we’ll be reviewing The Red Stables – Olive’s Rooms. The Red Stables in St Anne’s Park was built in 1885 by Arthur Edward Guinness, Lord Ardilaun. The Stables now house an arts and crafts centre with room for artists, a gallery and a café. 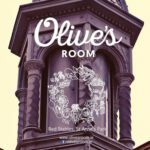 The café is known as Olive’s Rooms and although.. 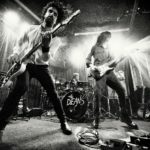 The Unsigned Irish Music Scene – How Are Small Bands Surviving? Have you ever wondered how unsigned Irish artists can prosper in our current music industry against some big national and international labels? Well having encountered many a signed and unsigned Irish artist, we at The Sharpe have wondered the same. Therefore we decided to do some digging to find out the secret recipe… if one exists! Maybe you are an unsigned artist or know someone who is enduring these struggles. For those who want to break into the music scene independently, this is certainl..